By default, most SIP devices use SIP over UDP as their main protocol, but for some other SIP devices or VoIP system, they require SIP over TCP, specially for some enterprise unified communication servers. 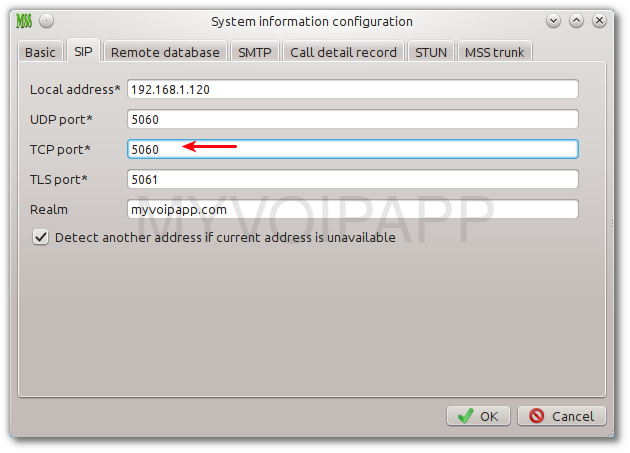 In MSS main window, please click menu 'Data / System / SIP', then we can configure 'TCP port' as wish as we want. Please refer to following figure. If this port is changed, we must restart MSS to enable new port. 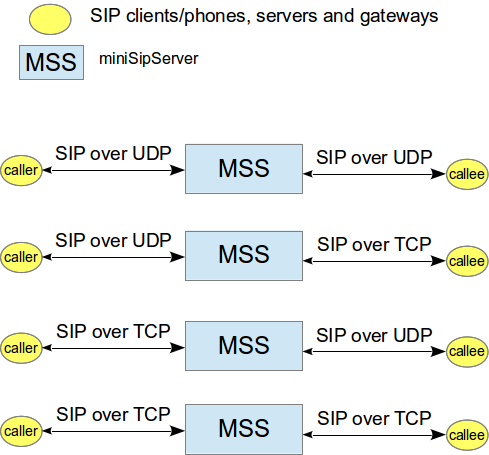 When MSS works with other gateways by using external line, we need configure it to use TCP or UDP to transport SIP messages. By default, MSS always uses UDP. For incoming calls, MSS will detect its transport automatically. 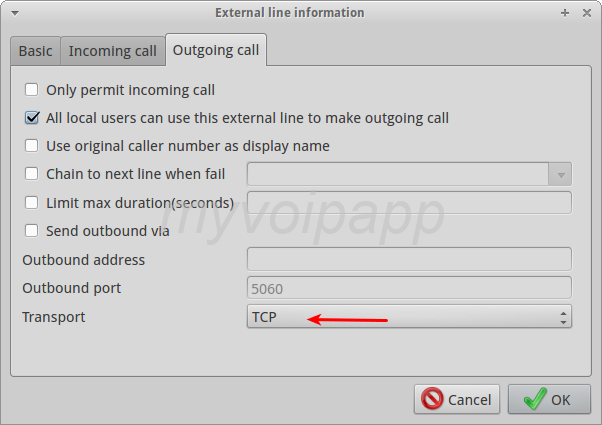 It is same as external line, we need indicate MSS to use TCP or UDP for SIP trunk to make outgoing call. Please click menu 'data / peer servers' to update your configuration. 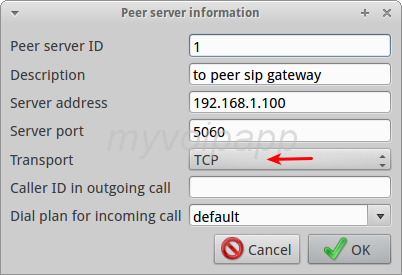 Q1: How to configure local user to use TCP? Unnecessary to do that in MSS. Please check your SIP phones/clients to use TCP transport. MSS will detect their transport automatically.